(BBC): UK scientists exploring the ocean floor in the Caribbean have discovered an "astounding" set of hydrothermal vents, the deepest anywhere in the world. Deploying a remotely-operated vehicle (ROV) in the Cayman Trough, they stumbled across a previously-unknown site nearly 5000m below the surface. Video pictures relayed live back to the research ship mounting the operation show spindly chimneys up to 10m high. They are belching out dark water – "a stunning sight", one scientist said. In the immense pressure of the sea three miles down, the ROV, known as ISIS, was gently steered around the vents, taking pictures and gathering samples. Hydrothermal vents are among the strangest features of the deep ocean and their existence was not known until the 1970s. Since then they have been discovered at about 200 sites around the world including the Southern Ocean and the Atlantic. But it was only three years ago that vents were first detected in the Cayman Trough, a deep trench formed by the boundary between two tectonic plates. One set of vents, known as Beebe, was established as the deepest on record – until the discovery last night of another slightly deeper set nearby, at 4,968m. or about three miles. (CNS): The premier has said she will be running for office with her Cabinet colleagues and not on the UDP ticket, despite mounting speculation that she has already made a commitment to return to the political party as the election approaches. She also denied signing any agreement with the UK and her current ministerial colleagues to stay with the interim administration until after the 22 May election. Although there is still considerable suspicion about how real the split is between the current premier and the former premier, Juliana O’Connor Connolly said Thursday that she remained committed to her colleagues in the minority government. However, she also made it clear that if she was returned to office she would be prepared to join any government of integrity if she could secure a Cabinet seat for the people of Cayman Brac. As the race to return to the Legislative Assembly begins in earnest how the cabinet ministers who are all former UDP members will mount their campaign remains up in the air. Fielding questions from the press about their intentions, the ministers have given little away other than to imply they will be running in a group together. While four of the ministers will be running in two of the three main battlegrounds, the likelihood that the premier will be returned in her constituency of Cayman Brac and Little Cayman means the UDP is unlikely to field a candidate in the Sister Islands and there appears to be an expectation that O’Connor-Connolly will support the return of a UDP government under the leadership of her former party colleague, McKeeva Bush. However, the premier said Thursday that she was content with her Cabinet colleagues and that her part in the transition to the interim government was done for the sake of democracy and no secret agreements to bind her to the new group were required. She said that her main concern was serving in a government that was honest and had integrity and until she saw evidence to the contrary she was remaining with her current colleagues. “I am happy to be a part of this government,” she added. O’Connor-Connolly said that if she was re-elected by her constituents and invited to join a government, provided it was one of honesty and integrity that would take her country forward and if her constituents wanted her to accept, she would join it. If not, she was prepared to remain on the back bench as a “lone ranger, crying in the wilderness for the next four years." So far, O’Connor-Connolly and Moses Kirkconnell, the deputy leader of the PPM, are the only candidates who have confirmed that they will be fighting for the two seats in the Sister Islands. While the two incumbents are both expected to retain those seats, the final list of candidates on Cayman Brac and Little Cayman is expected to be considerably shorter than the three larger constituencies of George Town, Bodden Town and the now unpredictable battled ground of West Bay. However, in an election that remains wide open, it is impossible to say how many people on the Sister Islands may decide to throw theirhat in the ring and make a bid for political office. (CNS): The health minister has launched a new national health policy, which he said is designed to cover the challenges facing government in the provision of affordable health care over the next five years, after almost four years in office and only months away from a general election. Following the launch of the education policy by his fellow Cabinet minister last week, it was Mark Scotland’s turn to hand out a policy document at Thursday’s press briefing. He said it would chart the course for government to manage mounting costs and increases in non-communicable diseases plaguing the community up until 2017. Scotland described it as the country’s first overarching guide outlining his vision, goals and objectives. 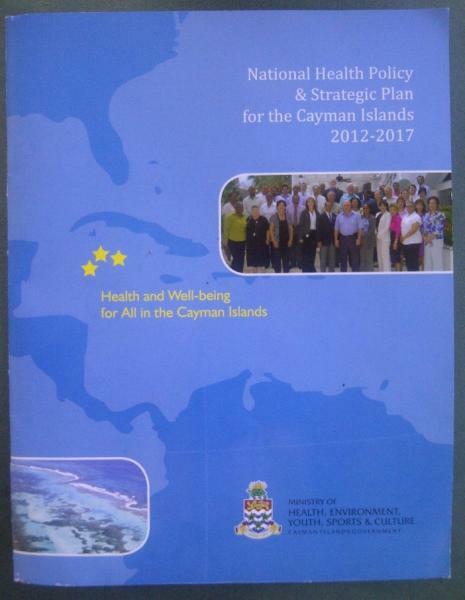 He said it was put together with the assistance of the World Health Organization and focuses heavily on the increasing problems in Cayman of diseases caused mainly by behaviour, such as heart problems, diabetes and obesity, a growing epidemic in Cayman in the face of rising healthcare costs. The document reveals that high blood pressure is the top diagnosis in Cayman, with the HSA treating well over 3000 patients. Diabetes is the second most common health problem and mental health issues the third, though the country still does not have a proper treatment centre for people suffering with mental health conditions. Scotland said Cayman had made some strides in healthcare over the last few years but many challenges remained and he said the plan would help government measure and monitor performance to ensure progress continued to be made in reducing illness and costs. The press also heard that the Cayman government had talked to the UK about partnering with the British health services to help reduce the cost of medicines by having the UK purchase on behalf of the territory and to see if treating Caymanian patients who need overseas care inthe UK rather than the US. In addition Scotland revealed that a specialist screening clinic would be held this weekend to test local athletes for their risk of sudden cardiac arrest. Following the death of a young Caymanian footballer, Gerome “Bird” Graham, recently as a result of a sudden heart attack on the field, the minister said the health authorities were partnering with heart specialists from the private health sector and US experts to offer free screening to teenage athletes. While Scotland said there were no guarantees that such screening was 100% successful, it could detect some warning signals in high performance athletes and at least give some reassurance that they are fit to play or compete. Graham is not the first young athlete to fall victim to the syndrome and on the international stage basketball player Reggie Lewis and Italian footballer Piermario Morosini also died as a result of a sudden cardiac arrest. “It can happen at any time, any place, to anyone and without warning,” the health minister said, noting that an estimated 300 high school athletes die each year at sporting events in the US. Healthcare experts led by a board-certified cardiologist with expertise in evaluating athletes will staff the clinic, which will be screening local athletes who have been invited to attend at the Heart Health Centre. See the new health policy here. (CNS): Police have arrested three men and two women in connection with an incident in the in the early hours of Wednesday 20 February when a man was attacked and beaten by a gang of people. An RCIPS spokesperson said that the five people were identified and arrested on Thursday and they are currently being questioned in connection with the street brawl which happened in George Town. Police had been called to the junction of Eastern Avenue and North Church Street after receiving a report of a fight. When they arrived there was no one at the scene. However, the victim was found in the Watler's Road area and he confirmed that he had been attacked and beaten. 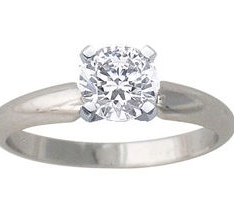 The assailants demanded money and assaulted him in the process. Nothing was taken but the man was injured. The incident is now being investigated by the officers from CID in George Town who have arrested the five people believed to have been involved in the attack. (CNS): The second candidate who will be running on the Coalition for Cayman (C4C) platform in West Bay has declared her intention to run. Tara Rivers will be joining Mervin Smith on the C4C ticket in the district race, which is wide open after the UDP split in the wake of McKeeva Bush’s arrest last December. With the former premier’s stranglehold on the district weakened and the UDP vote now split, the independents are hoping they, and not the opposition candidates, can capitalize on the window of opportunity. Rivers, a local lawyer who previously tried her hand in the political arena in 2000, grew up in Mount Pleasant and says she is deeply concerned about the social and economic decline in the district. Saying it is now time for a new generation of leaders to step forward, she said change requires action. Rivers said education would be an area of focus for her if she is elected. “Everyone deserves a good education and adequate training. A strong economy requires a balanced and prepared workforce. We need qualified mechanics, doctors, trust officers, hotel managers and mental health professionals, to name a few,” she said. “In order for the country to thrive, all of our people should be able to make a positive contribution, therefore vocational training and special needs education must also be a priority." Rivers is the first candidate to raise the issue of mental health in Cayman, which, despite being one of the country’s leading health problems, is neglected. As a former board member of Cayman Against Substance Abuse and the Cayman Islands Branch of the British Red Cross, she believes that there is a link between mental health and the country’s social decline. “For too long, mental health concerns have been on the back burner and our people are suffering as a result. If we look at the social decline of our islands—the high level of recidivism of our young males, drug addiction and the abuse of our children— how can we possibly ignore the mental health needs of our people and hope that they will make a positive contribution to the economy and to society as whole?” she asked. Rivers said Cayman deserves better representation with accountable and visionary leaders who will lead with integrity. Currently the Chair of the United World Colleges (Cayman Islands) National Foundation, Rivers was one of the youngest recipients of the UWC scholarship at the age of 15. 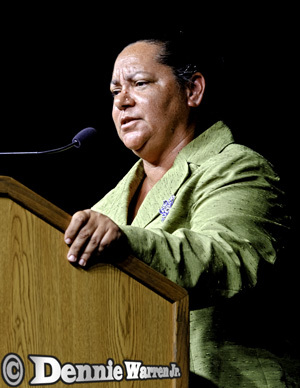 After receiving her Bachelor of Arts in Psychology from Brandeis University, Rivers joined the Ministry of Youth in 1997, where she formed a 28-member National Youth Policy Task Force, which she led to develop the National Youth Policy for the Cayman Islands (2000). Later that year, at the age of 25, Rivers contested the 2000 elections as the youngest candidate that year and narrowly missed winning a seat. 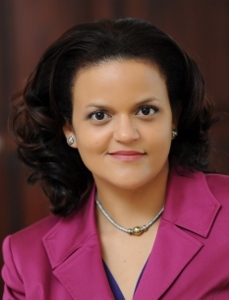 A qualified lawyer, Rivers currently works with Conyers Dill & Pearman (Cayman) Limited. 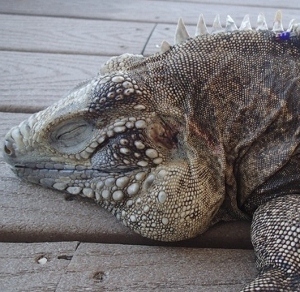 (CNS): Another endangered SisterIslands Rock Iguana has become a road casualty on Cayman Brac. Charlie as this latest victim was affectionately known became the sixth iguana killed in fifteen months on the Sister Island’s roads. The Department of Environment (DoE) is urging drivers on the Brac to pay special attention to the roads and adhere to the speed limits after Charlie was mowed down on the Bluff Road’s newly paved asphalt, on 5 February, which the department explained is attractive to the local reptiles.“Rock Iguanas, like all reptiles, are cold-blooded animals. They rely on the sun to heat their bodies, to digest their food and to move from one place to another," a DoE spokesperon said. "The newly paved asphalt provides a perfect place for them to bask. Sadly, the rate at which they are being killed prevents them from learning the consequences of being on the road,” the department added. The Sister Islands Rock Iguanas are critically endangered (IUCN Red List, 1996). There are now less than 100 known breeding individuals remaining. These animals are unique to the Sister Islands and the DoE asks that everyone do their part to help protect our endemic species and prevent them from becoming extinct. 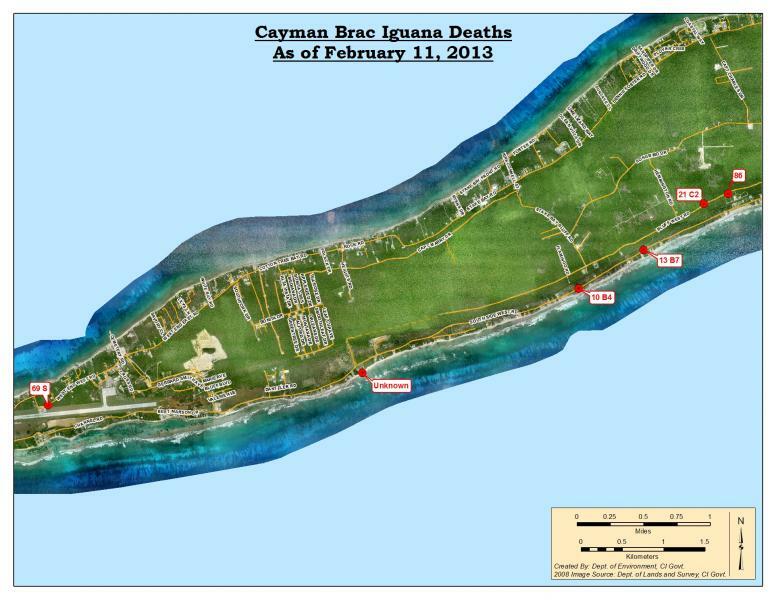 Below is a map of the road kill sites as of February 11, The numbers refer to tagged iguanas and the ‘unknown’ mark refers to an iguana that was not previously tagged.